Stylish and unique wall designs can truly add a perfect charisma to your entire home. 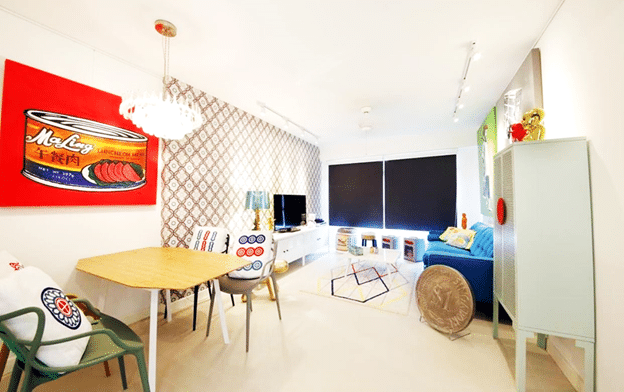 Here at Renopedia, our highly skilled Interior designers shows perfect examples of how a beautifully decorated wall can really bring a pleasing appeal to your home. 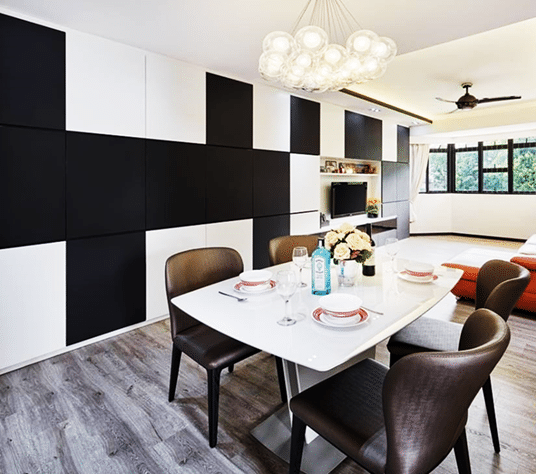 Decorate your home with fascinating wall designs as shown in the above picture designed by Weiken.com Pte Ltd, the attractive black and white check design makes a charming chess to this wall with a complementing interior. The orange couch truly complements this unique and stylish wall. Incorporate your home with stunning wallpapers, the attractive wallpapers with beautiful designs can perfect makes your wall charismatic and classy as shown in the above picture designed by Free Space Intent. 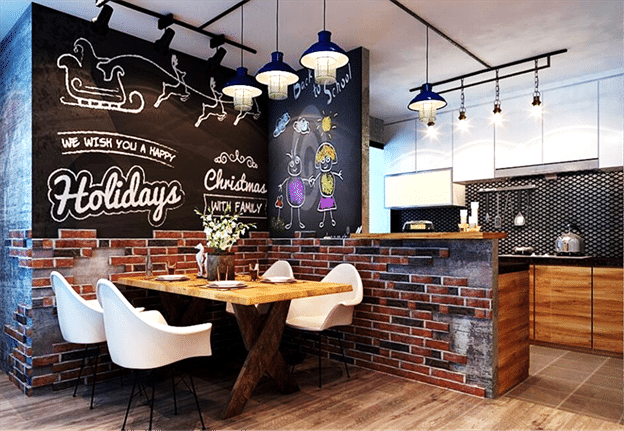 You can design your wall with beautiful messages, the black wall with white paint accurately imitate as a blackboard with beautiful messages and comments. This feature wall makes this dining area perfect, consider this lovely design for your home. You can design your home wall with maps as shown in the picture designed by AX Image Design Pte Ltd, the stylish accent wall against the bed makes this rustic modern room perfectly fabulous. 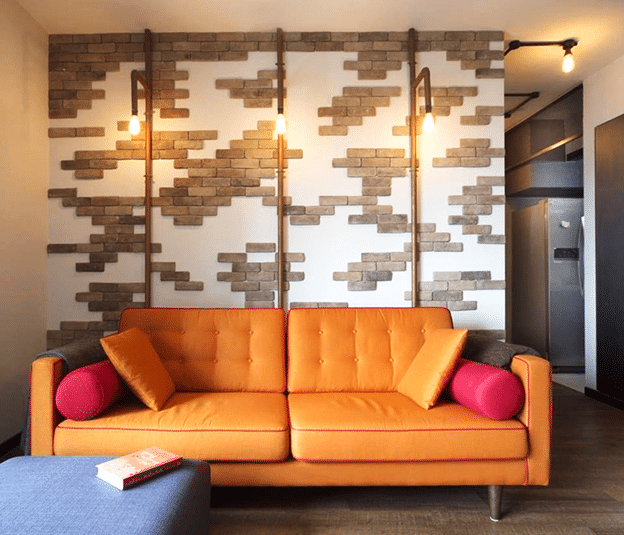 You can also decorate your walls with bricks, the brick walls can be decorated in a unique way as shown in the above picture designed by Chapter One Interior Pte Ltd. The uneven spread of bricks really adds a unique charm to this area with splendid orange couch and perfect and creative lighting designs.